Director of Global Channel Engagement, Datto, Inc.
Christine has been in the IT industry for over 13 years, in various roles supporting the IT community. The past 4 years Christine has been with Datto, and has developed into an integral part of the worldwide Business Development team, now serving as the Director of Global Channel Engagement. She is responsible for the planning and execution of industry events, as well as all partner engagement activities. You will often find her presenting at these events as well. Christine's focus remains on events centered around growing and supporting Datto's partner community and fostering those valuable relationships. 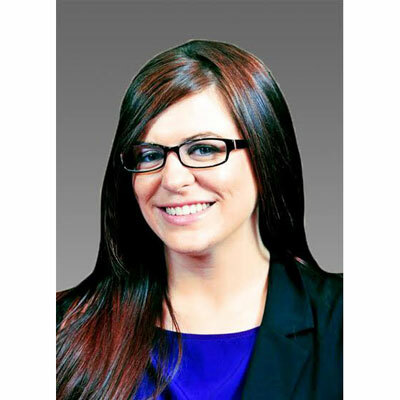 She is also very actively involved in the IT community outside of her position at Datto, sitting on the executive council of the Managed Services Community at CompTIA. She has also been named to CRN's Women of the Channel List and Power 100: The Most Powerful Women of the Channel List, the past three years. As one of the Datto evangelists, Christine continues to travel around the world and present to tens of thousands of MSPs on business growth, specifically how to grow their revenue. Additionally, she has also been an integral part of thought leadership for Datto, by helping build education around the IT channel and providing tools help MSPs escalate growth, not just for Datto partners, but for the channel as a whole. Datto launched their Managed Networking Service line in 2017, and Christine was responsible for executing an events strategy to introduce the opportunity around managed networking, to the Datto partner base. With a recent merger with another MSP-centric organization, Christine's goals over the next year include working with multiple teams at Datto to combine global partner programs, channel events approach, and building out valuable sales and marketing resources for partners of both organizations. Christine's plan includes ensuring that Datto's events provide specific content to their MSP partner's needs, and that they know they will be supported effectively through the merger. Christine was named to the 2017 CRN Women of the Channel list. She was also named to the exclusive Power 100 list, recognized for her exemplary influence in the IT Channel. Christine has also recently been promoted to Director of Global Channel Engagement at Datto, now with responsibility for partner engagement worldwide. Christine says, "JK Rowling. Rowling went from struggling as a single mother on welfare, to one of the world's most financially successful authors. In addition to her successful writing career, she's extremely philanthropic, donating millions to charitable organizations. A number of her books were written and published for the purpose of raising funds, including her most recent, Fantastic Beasts and Where to Find Them. She's an inspiration. My favorite quote by her is, 'Those who choose not to empathize enable real monsters; for without ever committing an act of outright evil ourselves, we collude with it through our own apathy.'" Christine says, "Stay motivated! I've been successful in my career because I have a solid work ethic, and I love what I do. However, I wasn't always so motivated. It's important for younger generations to realize that our actions have a continuous impact on our future. I would also tell my 16-year-old self to find a mentor. I've learned in my career that having a mentor is a great way to stay motivated, knowing there is someone in your corner rooting for you to succeed, and sharing their personal success." Christine says, "Time management. I have gotten better at time management over the course of my career, but it is still a struggle. I am extremely passionate and take pride in what I do, and always want to tackle projects immediately. As my team continues to grow, I've gotten better at effectively delegating, which certainly helps with time management." Christine says, "Skin In the Game by Nassim Nicholas Taleb. I loved it, because the entire time I was reading, I was putting my own life and actions into perspective. I firmly believe in treating others how you'd want to be treated, and the takeaways from this book have that principle in mind. It's all about taking on the risk of anything your involved in, not leaving it for only others to absorb. My favorite line in the book is, 'If you give an opinion and someone follows it, you are morally obligated to be, yourself, exposed to its consequences.'"